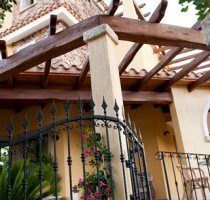 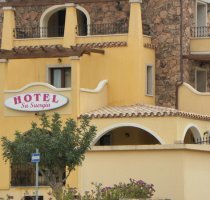 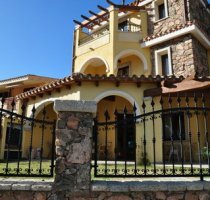 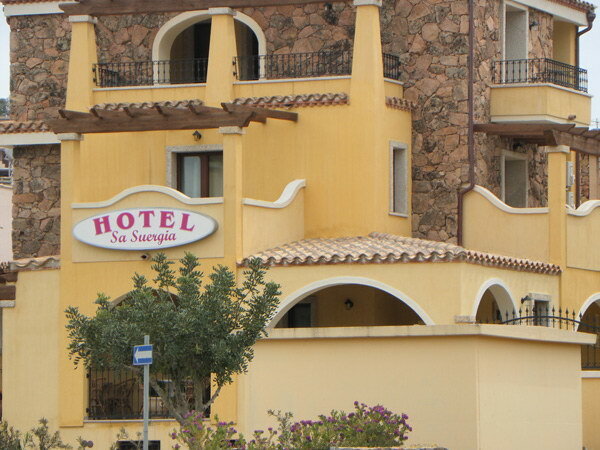 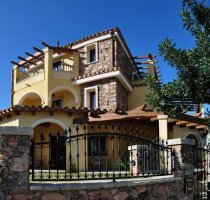 Hotel Sa Suergia, newly built, is located at the entrance of Villasimius, 800 meters from the town center, 700 meters from the Archaeological Museum and 2 km from the Beach of Simius. 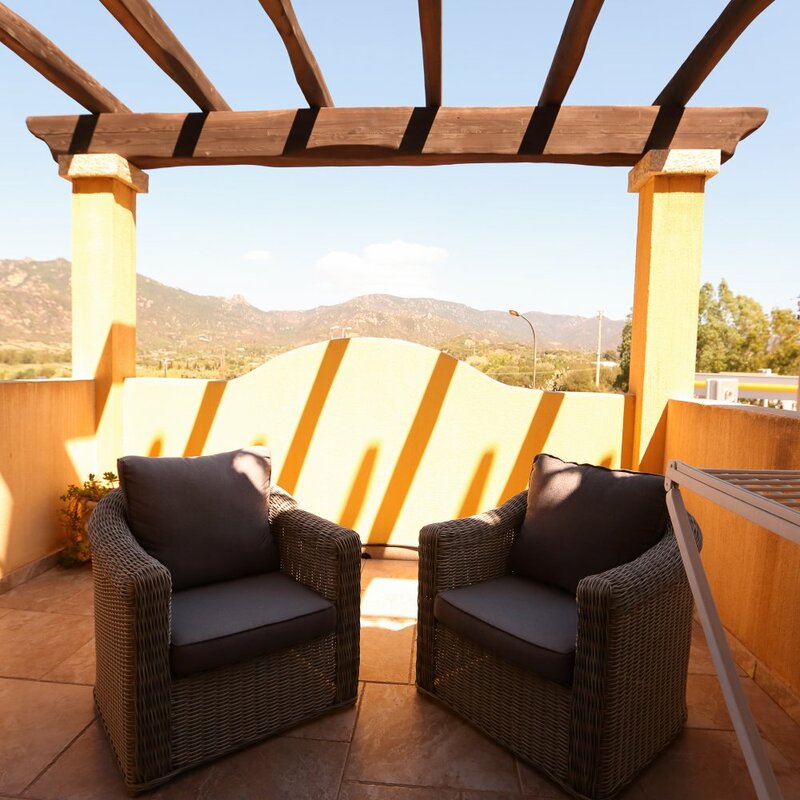 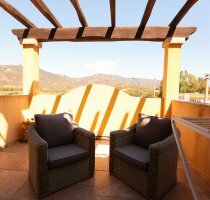 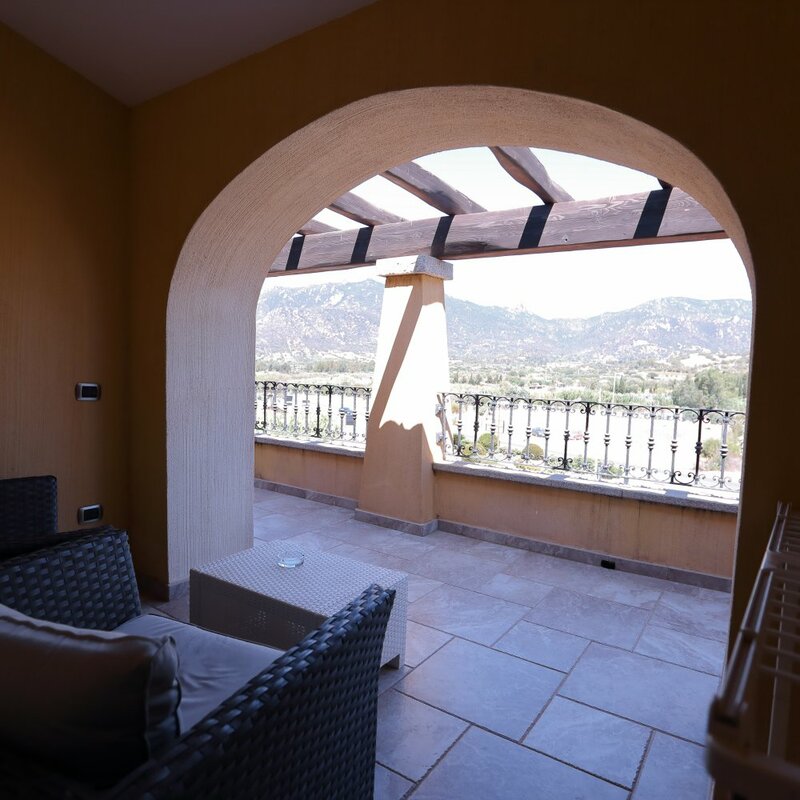 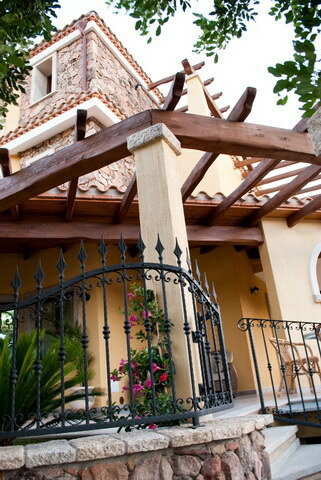 The rooms, welcoming and comfortable, are featured with a furnished terrace or balcony. 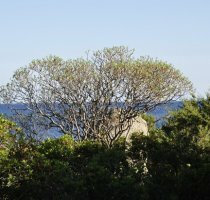 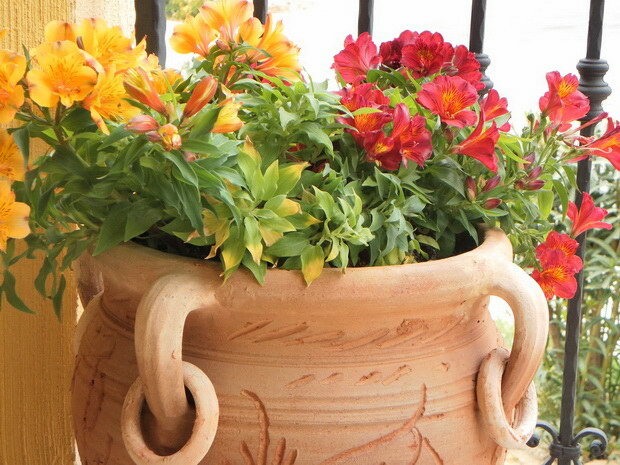 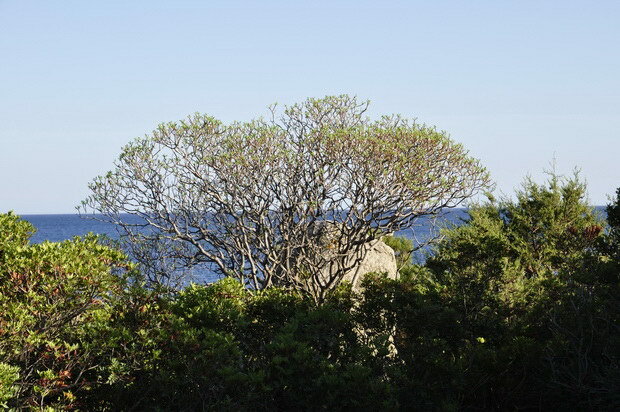 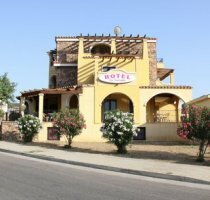 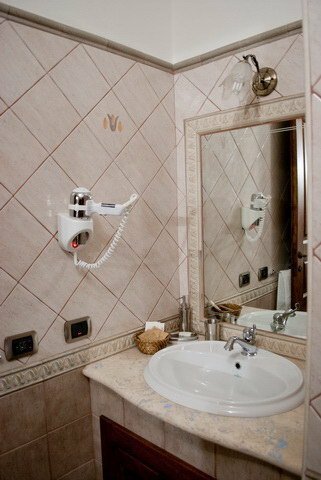 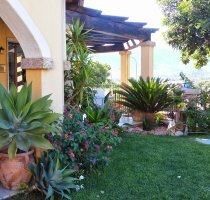 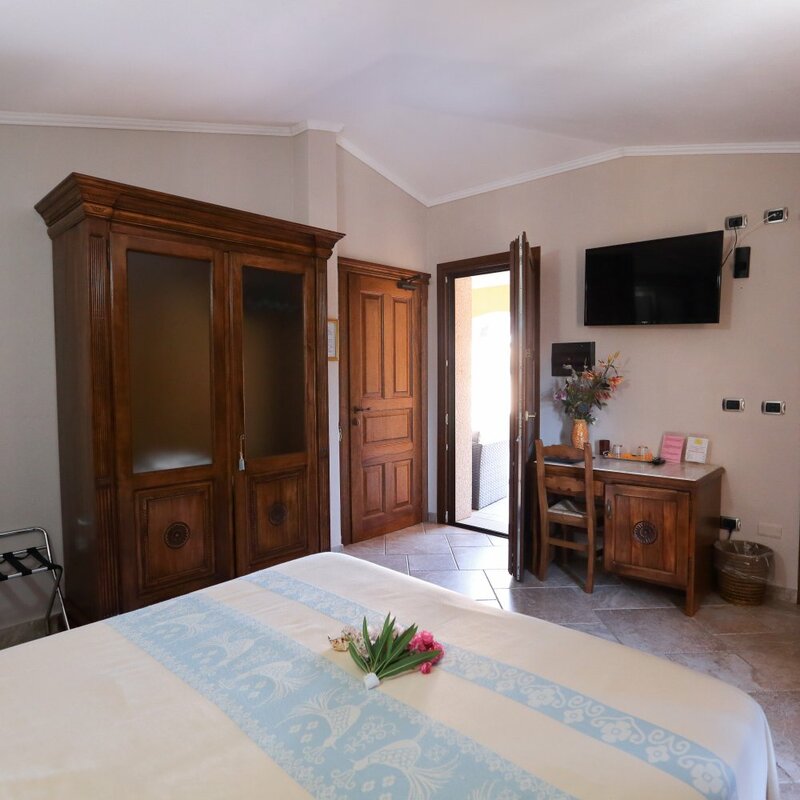 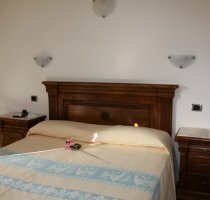 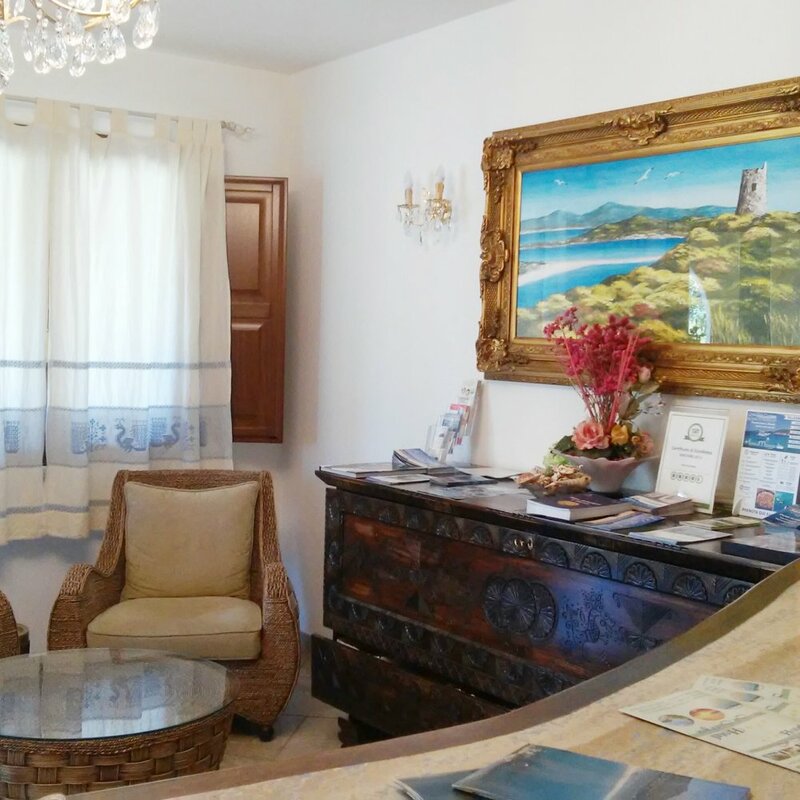 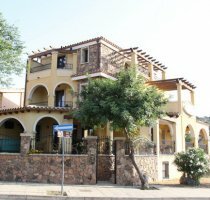 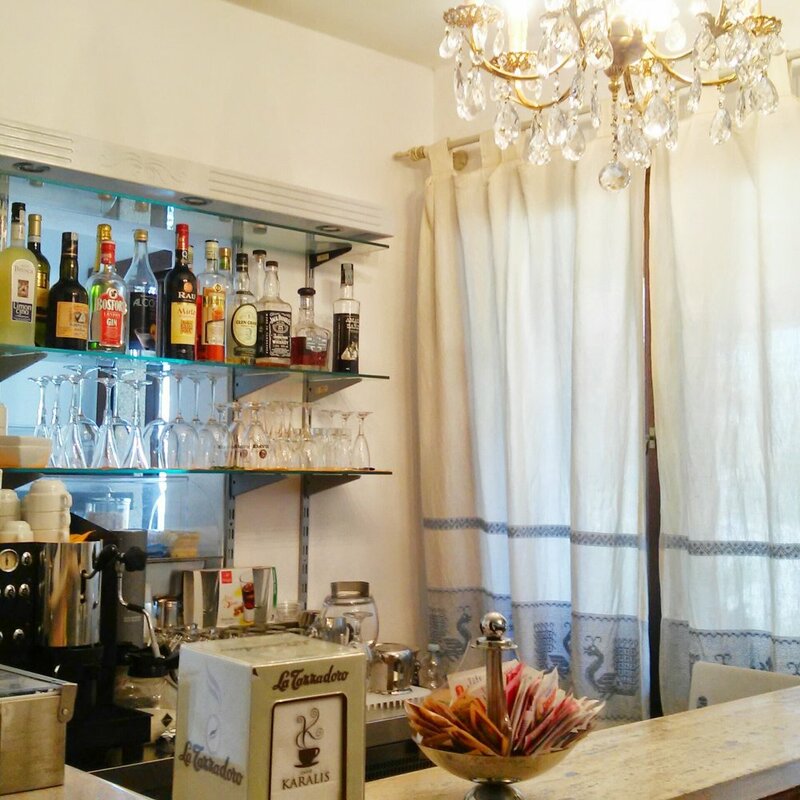 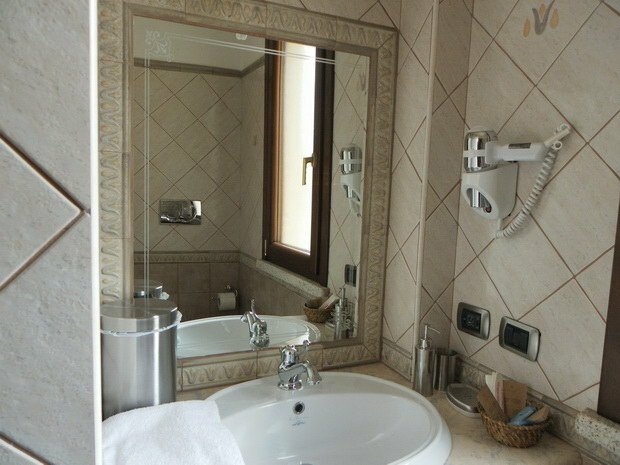 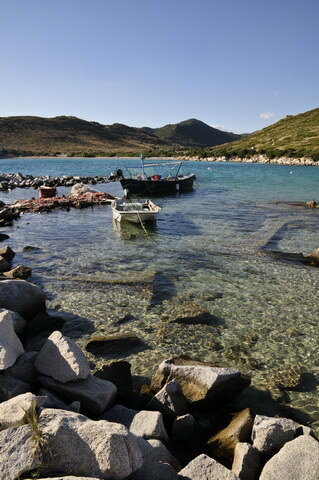 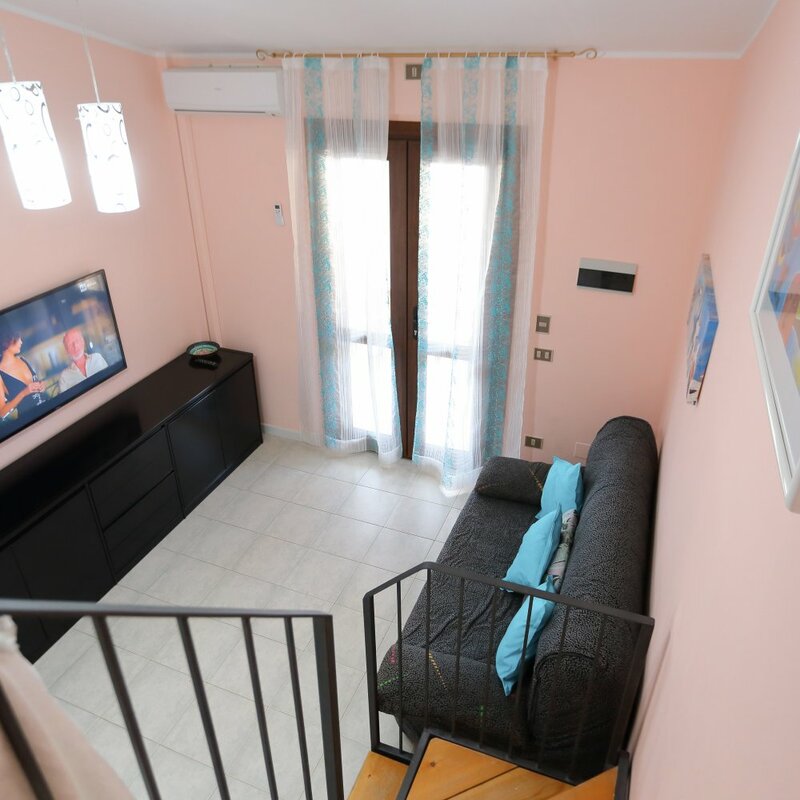 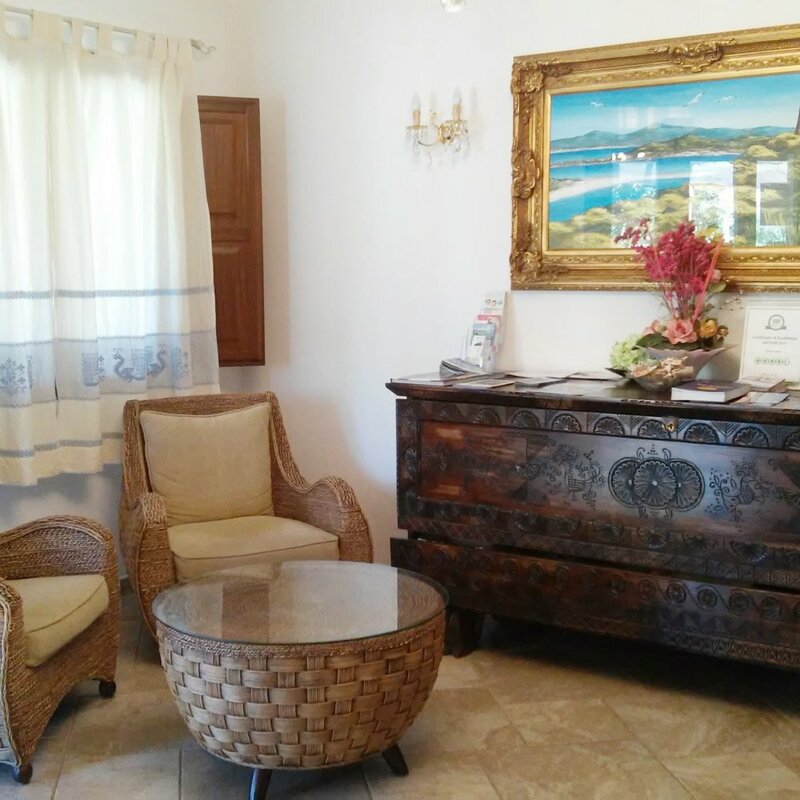 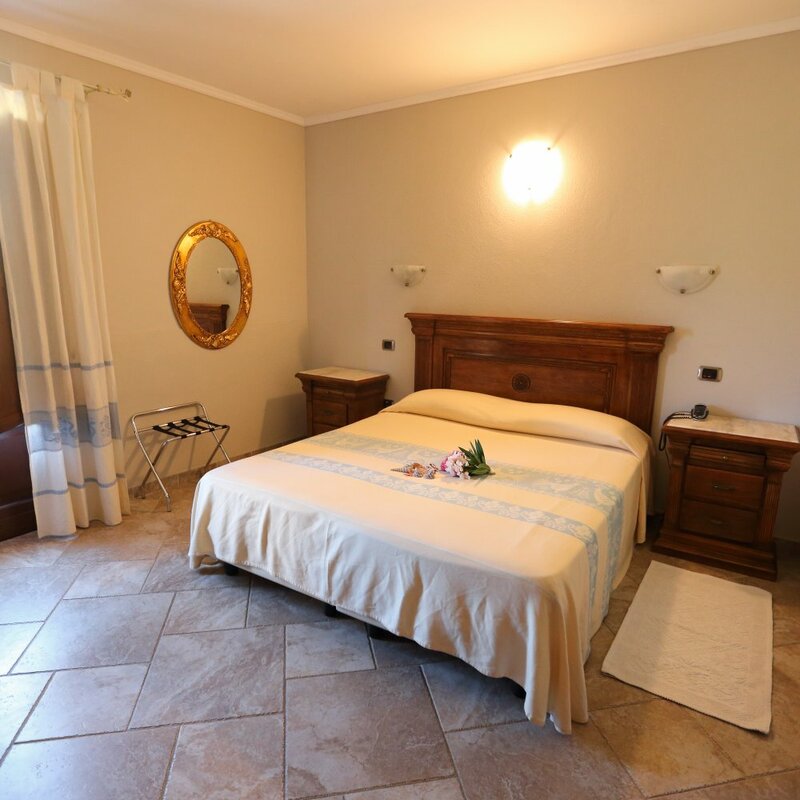 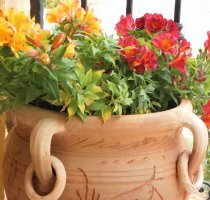 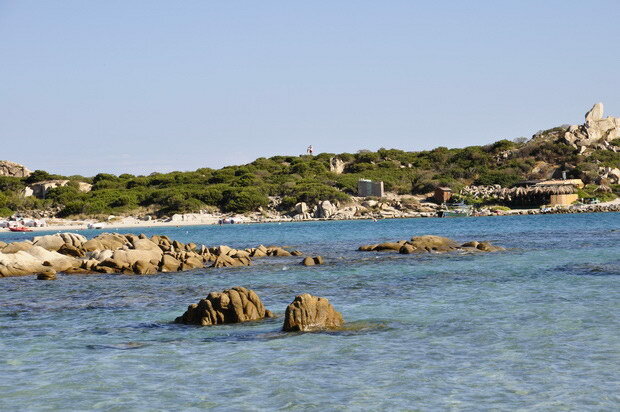 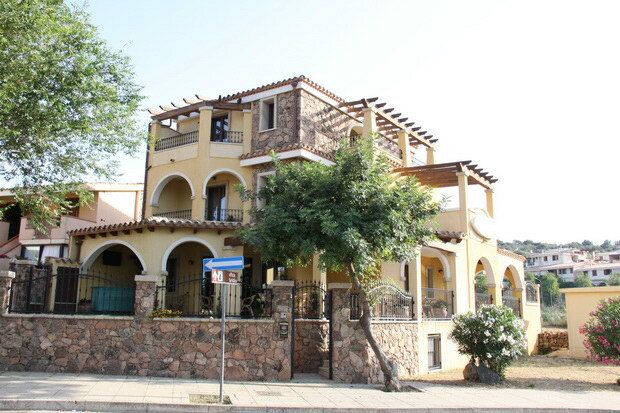 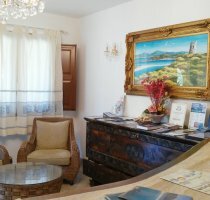 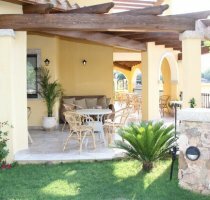 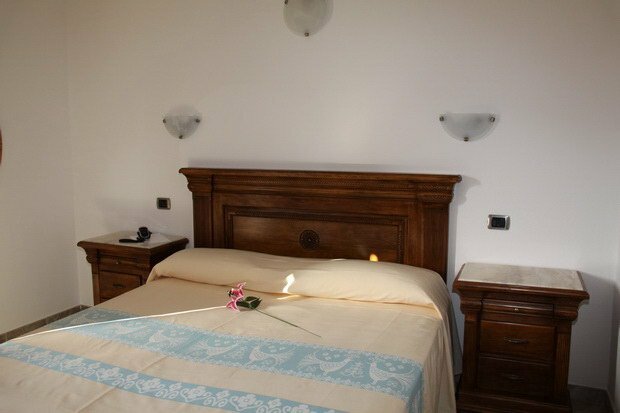 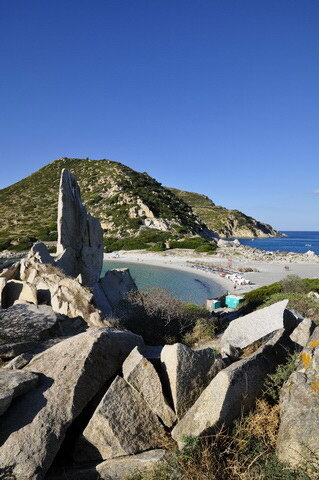 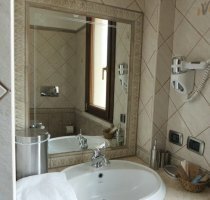 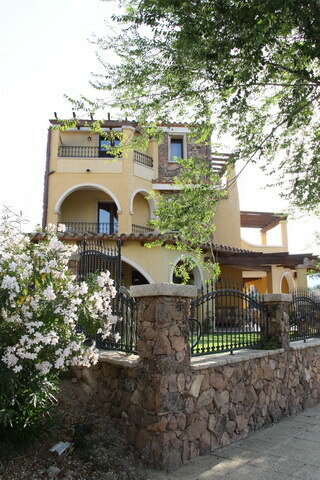 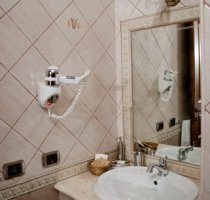 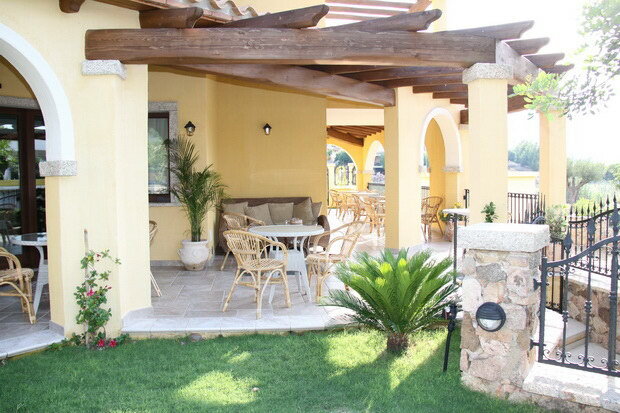 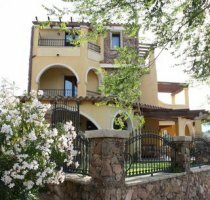 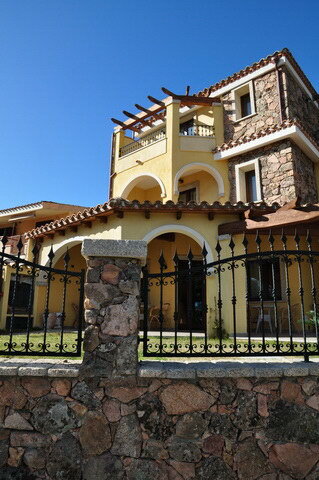 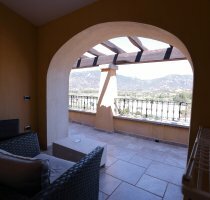 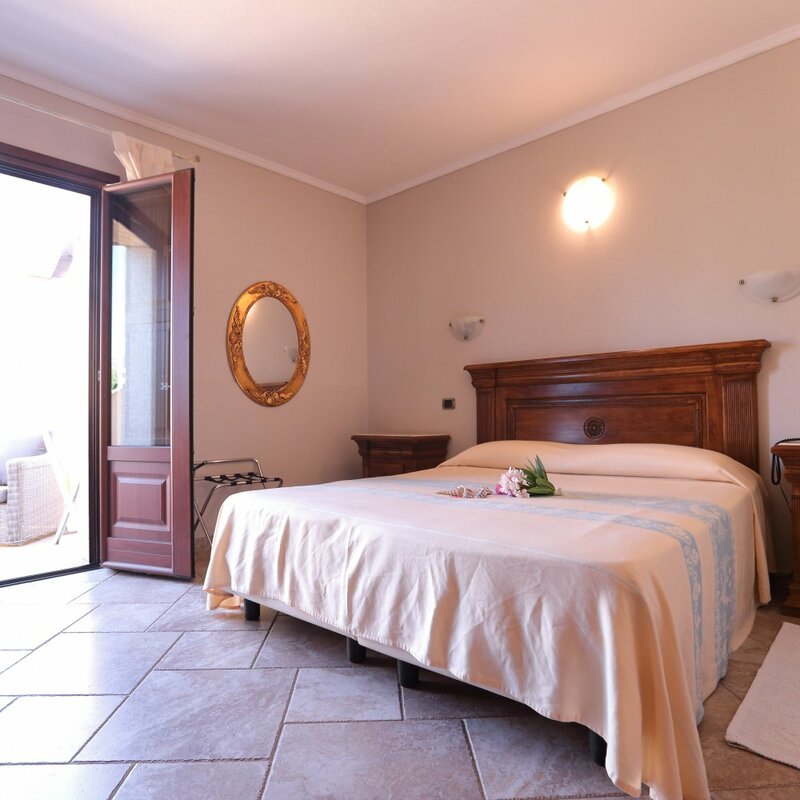 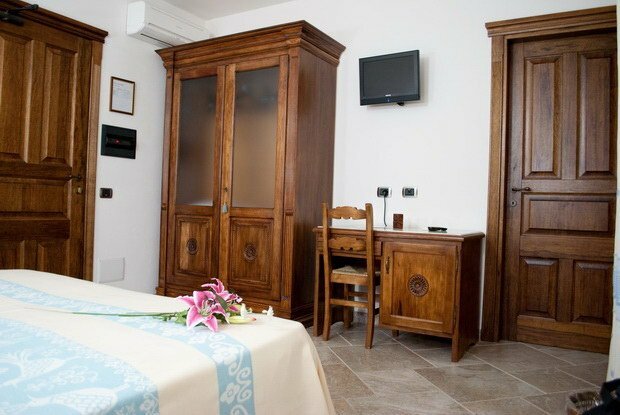 They are all furnished in high quality Sardinian style and are equipped with every comfort. 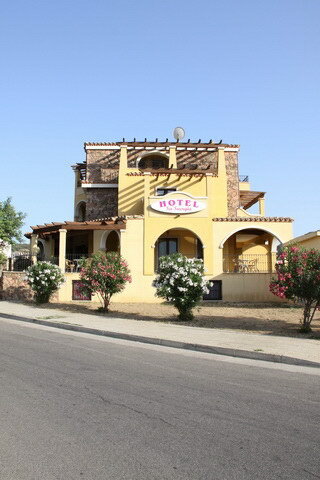 A few meters from the hotel there are pubs, pizzerias, restaurants, hairdresser, supermarkets, food shops, clubs. 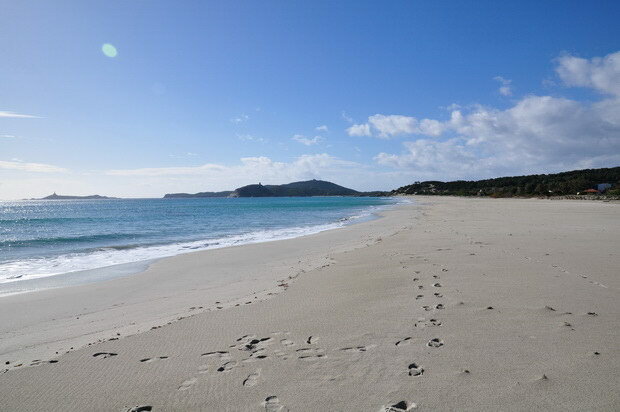 A shuttle bus stops right in front of the hotel, allowing the guests to reach all the beautiful beaches of Villasimius. 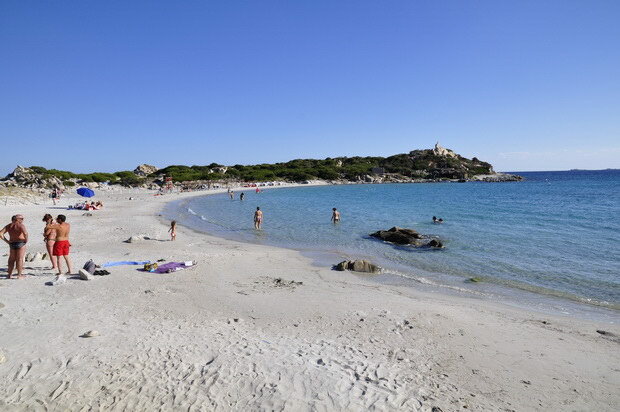 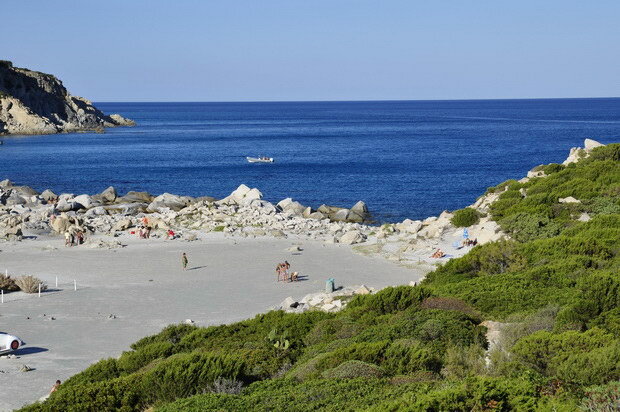 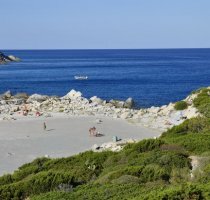 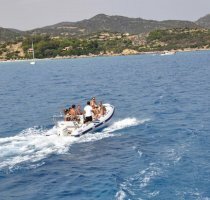 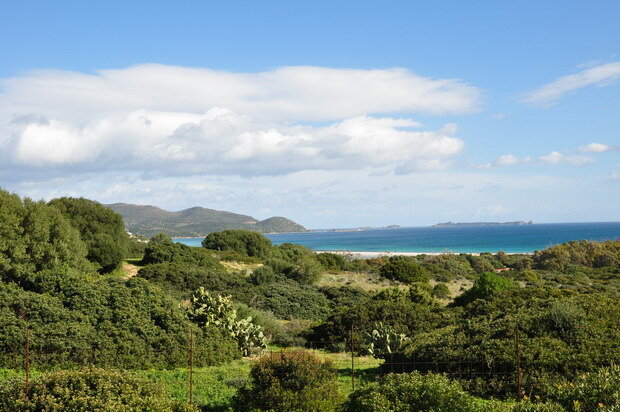 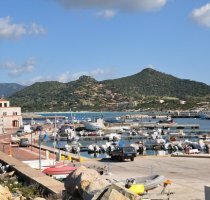 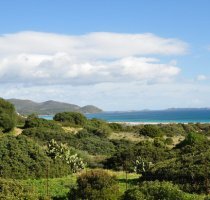 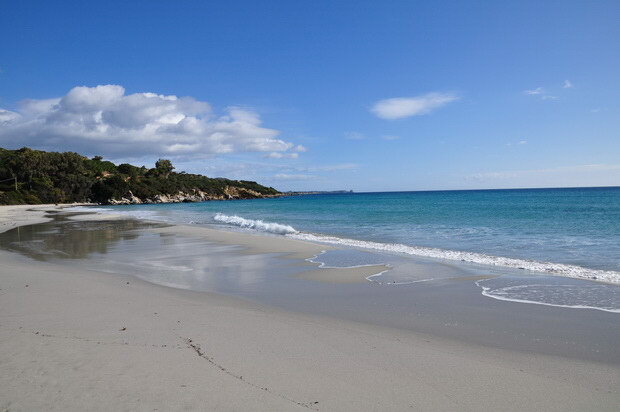 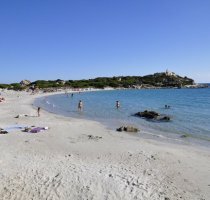 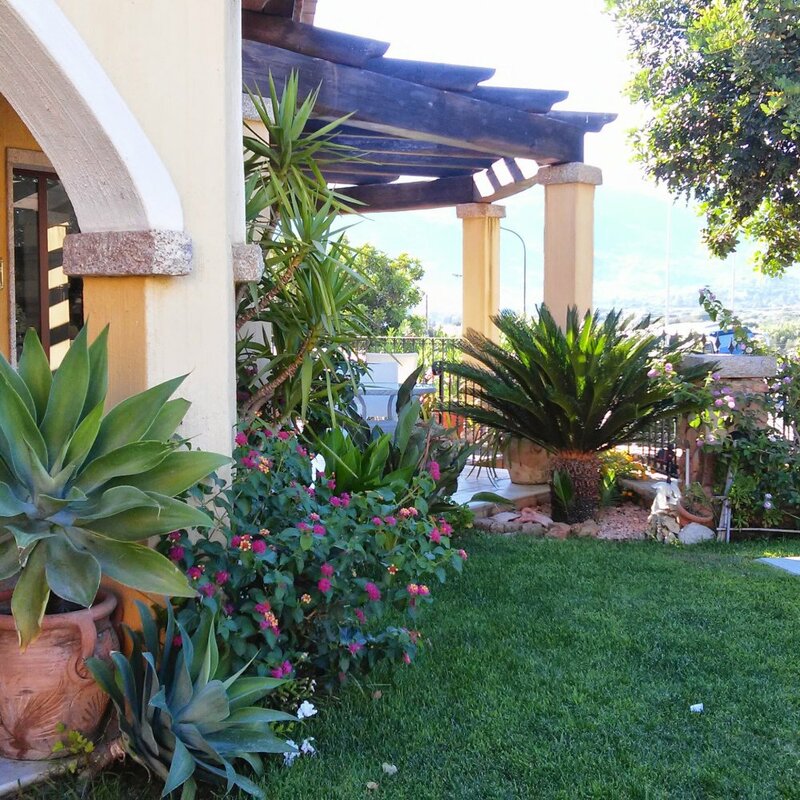 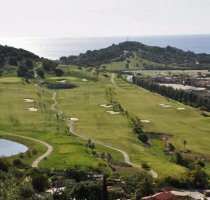 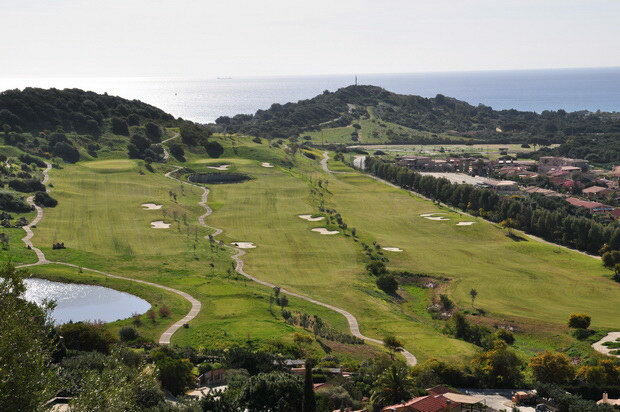 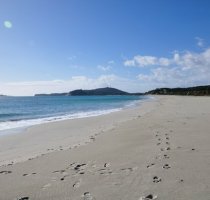 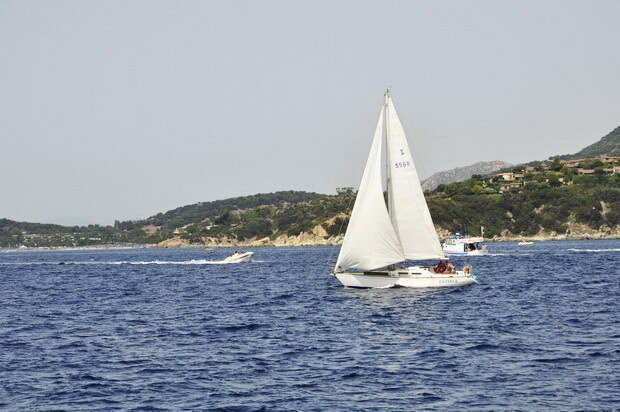 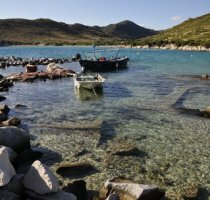 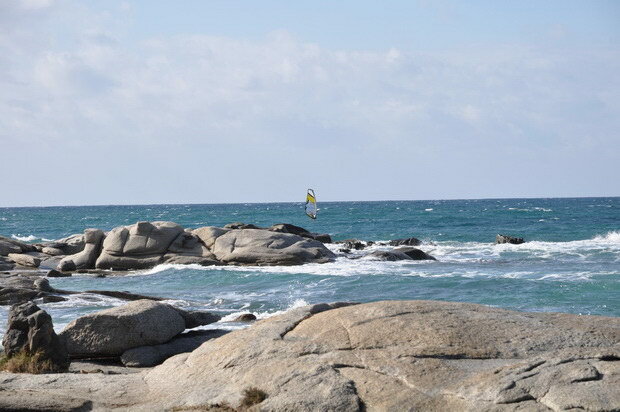 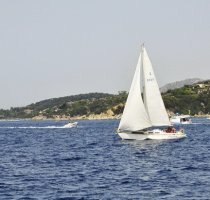 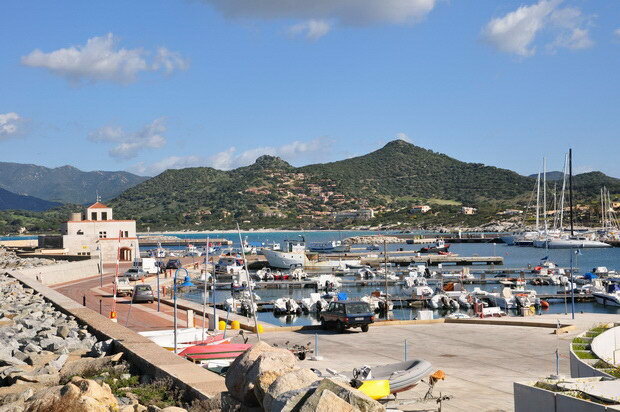 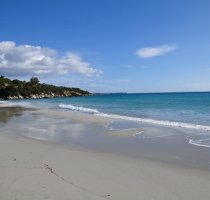 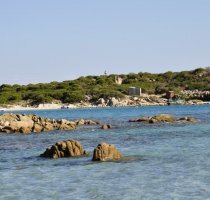 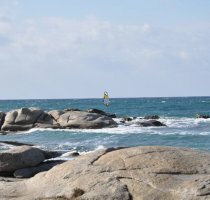 Villasimius, a popular tourist location, is the ideal place for horse and boat excursions, diving in the beautiful Sardinian sea, water skiing, mountain biking, hiking, golf and tennis. 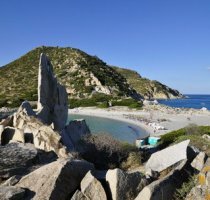 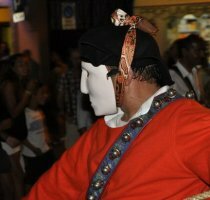 Recently it has been open to a diversified tourism and extended throughout the whole year, mainly due to the growing value of natural, historical, archaeological and folkloristic resources. 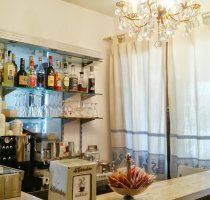 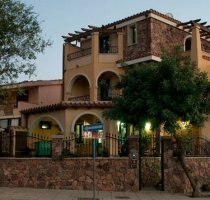 Bar, Air-conditioning, Hairdresser, Heating, Internet Services, Wi-Fi/Wireless LAN, Rooms/Facilities for Disabled Guests, Luggage Storage. 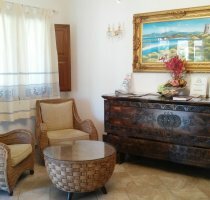 This property requires a minimum stay of 5 nights in August. 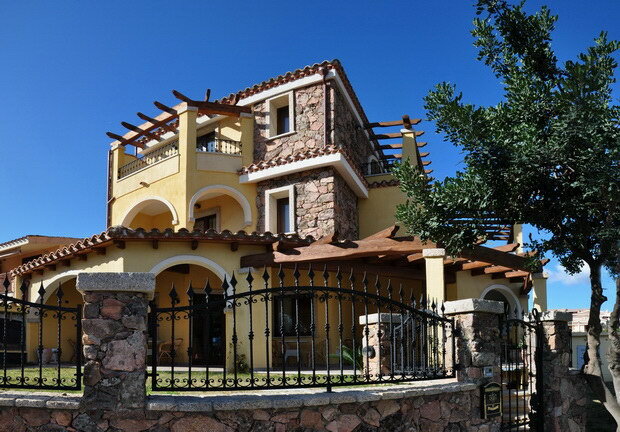 - Children from 7 to 17 years: 50% reduction on adult's rate. 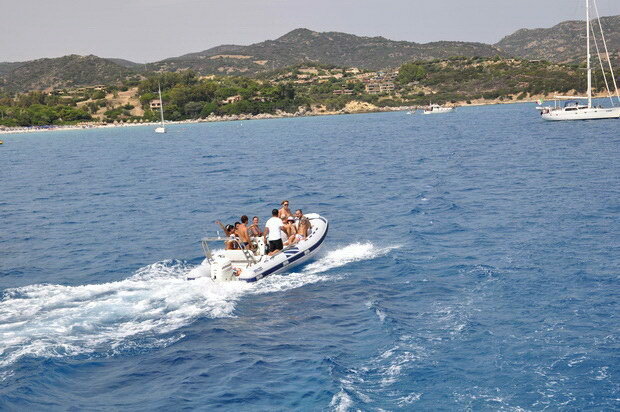 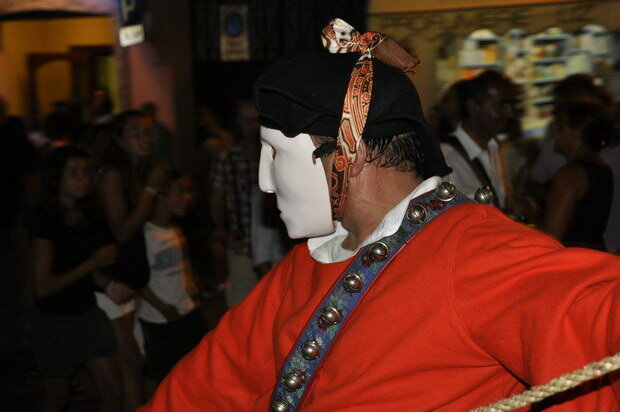 - Villasimius Tourist Tax (from 01/06 to 30/09): Euro 1,00 per day per person, excluded children under 10 years.